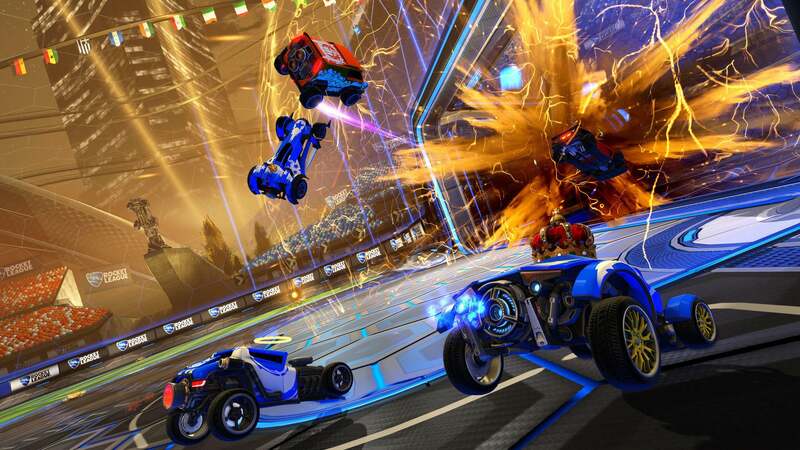 This past weekend we saw some of the most intense matches ever in the Rocket League Championship Series! Six teams from both North America and Europe took to the pitch to compete in the Regional Championships and prove they are the best in their region. The stakes were higher than ever, as teams not only battled for regional supremacy, a spot in the World Championship, and the new addition of auto-qualification for Season 4 League Play. We’ve got a lot to run through, so let's get right into it (WARNING: spoilers ahead). NA kicked things off with Genesis, Selfless, G2 Esports, and Denial Esports all fighting for their spot at the Season 3 World Championship. The first match saw Genesis being swept 4-0 in a commanding victory by Selfless. The match that followed would be the biggest upset of the day, with G2 taking a heartbreaking 3-4 loss to Denial. Next up, NRG faced off against Selfless in the Semi-Finals. After a fierce seven-game series, NRG overtook Selfless 4-3 to lock in a spot in Season 4 League Play. Following their victory over G2 Esports, Denial looked to take on Atelier for their spot in the Regional Final. Sizz and Turtle had other plans by leading Atelier to a convincing 4-1 victory over Denial to advance to the NA Regional Finals. The end of the day saw #1 NRG take on #2 Atelier, and despite the amazing team play of the previous series, Atelier could not take a single game in the finals. NRG swept Atelier 4-0 to lock in the first-ever NA Regional Championship hat-trick. Fireburner, Jacob and GarrettG continue to prove they are the most consistent North American team, and they'll be looking for a World Championship title to add to their NA dynasty. Despite an incredible day of RLCS the day before, EU found a way to keep us on the edge of our seats the entire Regional Championship. To start the day, Gale Force Esports would fall to Mock-It Esports in a tight 2-4 loss. Next up, Flipsid3 Tactics and Resonant Esports gave us one of the greatest matches in Rocket League history (seriously, you should watch it). When it came down to the wire, Flipsid3 edged out Resonant in a 4-3 victory, guaranteeing the reigning World Champions a chance to defend their title. In the next round, Mock-it would continue their dominating performance by narrowly beating Northern Gaming in game 7 to move on to the Regional Finals. Flipsid3 then faced off against The Leftovers, a team known for their amazing reverse sweeps during League Play. However the former World Champions shut down any reverse sweep potential by taking a calculated 4-2 victory over The Leftovers. The EU Regional Finals came down to Flipsid3 and Mock-it, and in an upset almost no one predicted, Mock-It showed the world that nobody would deny them their first Regional Championship. They took the series 4-2 in game 6, and secured their first Regional Championship, proving they are one of the best teams in Europe. The remaining eight teams now set their sights on Los Angeles and the World Championship. With the teams from the Oceania region still waiting to secure their spots, we’re all anxious to see how the new challengers will stack up against the best of the best on the world stage. The RLCS World Championship takes place June 2-4 at The Wiltern Theater in Los Angeles, CA. Be sure to grab your tickets today before they sell out and stay tuned to @RLCS for more updates in the weeks to come. See you in Los Angeles!